SAN FRANCISCO, Calif. /California Newswire/ — EPIC Insurance Brokers and Consultants, a retail property, casualty insurance brokerage and employee benefits consultant, announced today that it has been named a 2015 "Excellence in Achievement" award winner by The BoardRoom magazine as the "Insurance Provider of the Year." "It is a tremendous honor to be the only insurance and risk management services provider recognized in this way by BoardRoom magazine," said Gary Sigel, program director of EPIC Golf Insurance Services. "Our entire Golf Insurance Services team is singularly focused on the needs of those we serve, and being honored among the leaders of the private club industry validates our commitment to provide the highest level of service and protection to our clients." EPIC Golf Insurance Services, a sector of the firm's Sports & Entertainment Group, provides golf-specific coverage, expertise and comprehensive club insurance solutions including exclusive Property/Casualty and Workers Compensation Insurance programs. BoardRoom magazine's "Excellence in Achievement" awards are the only private club industry awards that recognize the clubs' business partners. BoardRoom magazine's industry peers review and select these outstanding suppliers and consultants, which represent all aspects of course and club operations. Winners are selected based on overall excellence in their respective fields, and their achievements, innovation, vision for future growth and continued impact on private club operations. "We have seen an increasing amount of innovation and dedication from recipients of BoardRoom Awards, to the benefit of private clubs," said John Fornaro, publisher of BoardRoom magazine. "Each award winner is clearly a leader in their industry and we congratulate each and every one of them." BoardRoom magazine is designed for board of directors, owners, general managers and department heads of private golf, city, yacht, tennis and country clubs. The magazine is distributed through paid subscriptions to clubs, organizations and businesses throughout the United States, Canada, Europe, Australia and Asia. 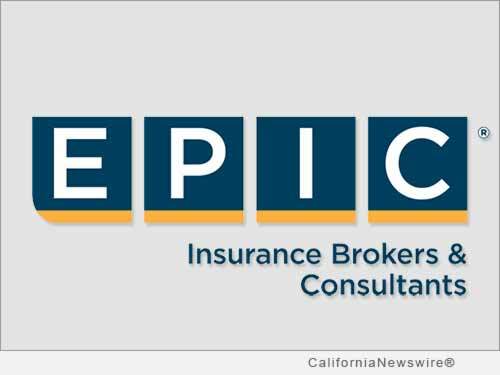 Headquartered in San Francisco, EPIC Insurance Brokers and Consultants has nationwide presence with a depth of industry expertise across key lines of insurance, including commercial property and casualty, employee benefits, unique specialty program insurance, and private client services. Since its founding in 2007, EPIC has grown revenue from $12 million to and estimated run rate of $200 million through both organic growth and strategic acquisitions, and remains a fixture on the insurance industry's "Best Places to Work" lists. Its strategic partners include private equity firm The Carlyle Group. To learn more, visit http://epicbrokers.com/.